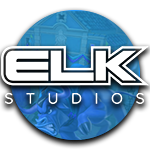 ELK is a relatively new online casino software brand. They have only been around since 2012 and that makes it all the more impressive how popular their games have become. Their limited selection can be found at lots of different casinos, meaning it won’t be too difficult for you if you want to play their games for real money. However, at the time of writing, this developer has only created 18 slots. That is of course nothing compared to most other brands, but trust me, that doesn’t say anything. Because the ethos of ELK is to put quality before quantity and that seems to be working out very well for them! They are known for a combination of two very important qualities: They combine hard with soft, complicated algorithms with high quality artwork, mathematical models with a human touch. That makes their games all the more interesting, as they are great to look at, while you can also enjoy very decent chances of winning! Oh, and by the way, their portfolio of games consists entirely of video slots. That is the only type of product they like to focus on, meaning they do not make anything like keno games, table games or video poker. What makes the ELK casino games different? As mentioned before, ELK likes to combine a good mathematical formula with great art. And those also happen to be the two things in which they excel when compared to the competition. First of all, the return to player (RTP) is generally quite high in the ELK slots, while you can also make use of different types of betting strategies. These are explained in the pay tables of every game and they are limited to three different options: The Jumper, which will let you raise your bet by up to 4 levels until you lose a spin; The Leveller, which will let you raise your bet after losing 5 spins in a row; And the Booster, which will increase your bet amount on each losing spin, up until you win another prize. Just to be clear, those strategies don’t guarantee any winnings, but it might be interesting to try your luck in a different manner. So, if you want to approach the game in a different way, then make sure to try one of the available strategies! On another note, when it comes to the art, ELK really likes to be different from everybody else. Their designs are absolutely spectacular and very pleasing to the eye. Hey usually have a fun story behind them, like for example with the Taco Brothers slot, while they are also remarkably original. If there is one game that ELK has become particularly famous for, it’s probably the Taco Brothers slot. In this game, you will participate in a fight for tacos and freedom. Enter the village of Santa Mario in Mexico and help the Taco Brothers save the villagers from the evil Captain Diaz. Paso, Pepe and Pico are looking to blow up Captain Diaz’ safe, while they are also being helped by the beautiful Senorita, who also happens to be the captain’s daughter. All of this will take place with bonus features like free spins, re-spins, multipliers and running wilds which may provide you with some serious winnings as well as top quality entertainment. Would you prefer to try something different? Then why not try your luck on the super original Ivanhoe slot which was made by the same developer? This game looks extremely retro, which really is a breath of fresh air. Because it uses a classic setup with three reels and limited symbols in combination with many original game features, like a progressive bonus game with five different stages. And at the same time, you also get to enjoy an interesting theme which is based on the historical novel by Sir Walter Scott from 1820, which is of course always a nice addition. Like all ELK slots, this game was created as a mobile-first, meaning it is optimised to be played on mobile devices like smartphones and tablets. That makes it pretty clear that this developer is focused on the future of gaming.